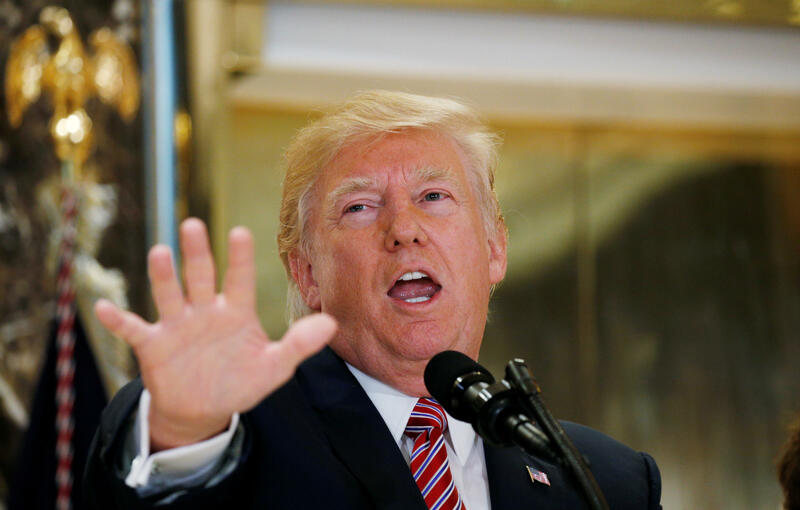 Nearly two-thirds of Americans consider the attack that led to loss of life in Charlottesville an act of "domestic terrorism," a view that spans partisan lines. But President Trump's response to Charlottesville finds more division. He gets majority disapproval overall for his response to the events, while most Republicans approve. Republicans interviewed following Tuesday's press conference also feel Mr. Trump is assigning blame accurately in the matter, while Democrats and Independents, and the country overall, disagree. Post-Tuesday afternoon, views on the president's description of events are tightly tied to overall views of his handling of the matter. Independents and Democrats, and the country overall, feel his description of blame in the events is inaccurate; Republicans feel it is accurate. Interviewing for this poll began the night before Tuesday's press conference and continued for two nights after it. Disapproval of the president's handling of events rose following the press conference. Republicans interviewed prior to Tuesday's press conference were at 68% approval of President Trump's overall handling of the response to Charlottesville and 66% following it — ending up at 67% approval. Democrats were at 12% approval prior to the Tuesday conference and ended up at 10% approval. Both partisan groups showed at least slight ticks up in disapproval, with Republicans becoming a bit more disapproving and Democrats even more so. Sixty-three percent of Americans consider the attack that led to injury and loss of life an act of "domestic terrorism." That includes large majorities of independents and Democrats and just over half of Republicans. The poll, which began Monday night, asked about the president's Monday statements, and most Americans felt those statements were a necessary clarification of his remarks from the previous Saturday. Overall, Americans are more apt to say Mr. Trump's policies have encouraged racial division rather than racial unity, but there are big partisan splits here, too, as Democrats see division and Republicans see no impact. Views on this appear to be entrenched for now, as these percentages are similar to what this poll found in April. A large majority says the way in which the president handles issues of race and race relations matters a lot to them.